Nikolai Yezhov was born in St. Petersburg, Russia, on 1st May 1895. Just five foot tall with a crippled leg, Yezhov was nicknamed the "Dwarf". After leaving school he worked as a tailor's assistant. In 1915 he joined the Russian Army and saw action on the Eastern Front during the First World War. Yezhov joined the Bolsheviks after the February Revolution. He was a member of the Red Army during the Civil War and from 1922 he worked as an administrator in the party. In 1927 he met Joseph Stalin. According to Edvard Radzinsky, the author of Stalin (1996), has pointed out: "The Boss (Stalin) had first seen Yezhov during his excursion to Siberia to speed up grain deliveries and had subsequently introduced him into the apparatus of the Central Committee. By the beginning of the thirties Yezhov was already head of its Cadres Department. At the Seventeenth Congress he was elected to the Central Committee and to the vice-chairmanship of the Central Control Commission. In 1935 he became chairman of that body, and a secretary of the Central Committee." Genrikh Yagoda was in charge of the Peoples Commissariat for Internal Affairs (NKVD). One of his first tasks was to remove Stalin's main rival for the leadership of the party. Sergy Kirov had been a loyal supporter of Stalin but he grew jealous of his popularity. As Edward P. Gazur has pointed out: "In sharp contrast to Stalin, Kirov was a much younger man and an eloquent speaker, who was able to sway his listeners; above all, he possessed a charismatic personality. Unlike Stalin who was a Georgian, Kirov was also an ethnic Russian, which stood in his favour." According to Alexander Orlov, who had been told this by Yagoda, Stalin decided that Kirov had to die. Yagoda assigned the task to Vania Zaporozhets, one of his trusted lieutenants in the NKVD. He selected a young man, Leonid Nikolayev, as a possible candidate. Nikolayev had recently been expelled from the Communist Party and had vowed his revenge by claiming that he intended to assassinate a leading government figure. Zaporozhets met Nikolayev and when he discovered he was of low intelligence and appeared to be a person who could be easily manipulated, he decided that he was the ideal candidate as assassin. Zaporozhets provided him with a pistol and gave him instructions to kill Kirov in the Smolny Institute in Leningrad. However, soon after entering the building he was arrested. Zaporozhets had to use his influence to get him released. On 1st December, 1934, Nikolayev, got past the guards and was able to shoot Kirov dead. Nikolayev was immediately arrested and after being tortured by Genrikh Yagoda he signed a statement saying that Gregory Zinoviev, Lev Kamenev and Ivan Smirnov had been the leaders of the conspiracy to assassinate Kirov. According to Alexander Orlov: "Stalin decided to arrange for the assassination of Kirov and to lay the crime at the door of the former leaders of the opposition and thus with one blow do away with Lenin's former comrades. Stalin came to the conclusion that, if he could prove that Zinoviev and Kamenev and other leaders of the opposition had shed the blood of Kirov". Victor Kravchenko has pointed out: "Hundreds of suspects in Leningrad were rounded up and shot summarily, without trial. Hundreds of others, dragged from prison cells where they had been confined for years, were executed in a gesture of official vengeance against the Party's enemies. The first accounts of Kirov's death said that the assassin had acted as a tool of dastardly foreigners - Estonian, Polish, German and finally British. Then came a series of official reports vaguely linking Nikolayev with present and past followers of Trotsky, Zinoviev, Kamenev and other dissident old Bolsheviks." Genrikh Yagoda now had the task of persuading Kamenev and Zinoviev to confess to their role in the death of Kirov as part of the plot to assassinate Stalin and other leaders of government. When they refused to do this Stalin had a new provision enacted into law on 8th April 1935 which would enable him to exert additional leverage over his enemies. The new law decreed that children of the age of twelve and over who were found guilty of crimes would be subjected to the same punishment as adults, up to and including the death penalty. This provision provided NKVD with the means by which they could coerce a confession from a political dissident simply by claiming that false charges would be brought against their children. Edward P. Gazur, the author of Alexander Orlov: The FBI's KGB General (2001), claims that Alexander Orlov later admitted: "In the months preceding the trial, the two men were subjected to every conceivable form of interrogation: subtle pressure, then periods of enormous pressure, starvation, open and veiled threats, promises, as well as physical and mental torture. Neither man would succumb to the ordeal they faced." Stalin was frustrated by Stalin's lack of success and brought in Nikolai Yezhov to carry out the interrogations. Orlov, who was a leading figure in the NKVD, later admitted what happened. "Towards the end of their ordeal, Zinoviev became sick and exhausted. Yezhov took advantage of the situation in a desperate attempt to get a confession. 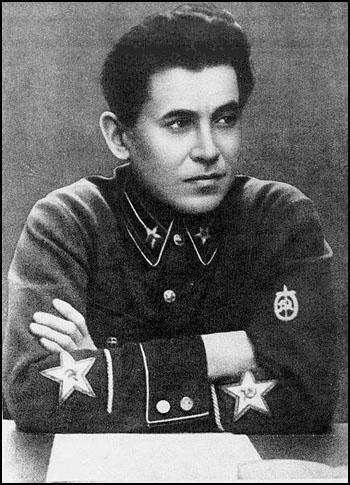 Yezhov warned that Zinoviev must affirm at a public trial that he had plotted the assassination of Stalin and other members of the Politburo. Zinoviev declined the demand. Yezhov then relayed Stalin's offer; that if he co-operated at an open trial, his life would be spared; if he did not, he would be tried in a closed military court and executed, along with all of the opposition. Zinoviev vehemently rejected Stalin's offer. Yezhov then tried the same tactics on Kamenev and again was rebuffed." In July 1936 Yezhov told Gregory Zinoviev and Lev Kamenev that their children would be charged with being part of the conspiracy and would face execution if found guilty. The two men now agreed to co-operate at the trial if Stalin promised to spare their lives. At a meeting with Stalin, Kamenev told him that they would agree to co-operate on the condition that none of the old-line Bolsheviks who were considered the opposition and charged at the new trial would be executed, that their families would not be persecuted, and that in the future none of the former members of the opposition would be subjected to the death penalty. Stalin replied: "That goes without saying!" The trial opened on 19th August 1936. Five of the sixteen defendants were actually NKVD plants, whose confessional testimony was expected to solidify the state's case by exposing Zinoviev, Kamenev and the other defendants as their fellow conspirators. The presiding judge was Vasily Ulrikh, a member of the secret police. The prosecutor was Andrei Vyshinsky, who was to become well-known during the Show Trials over the next few years. At the trial Zinoviev said: "I would like to repeat that I am fully and utterly guilty. I am guilty of having been the organizer, second only to Trotsky, of that block whose chosen task was the killing of Stalin. I was the principal organizer of Kirov's assassination. The party saw where we were going, and warned us; Stalin warned as scores of times; but we did not heed these warnings. We entered into an alliance with Trotsky." Kamenev's final words in the trial concerned the plight of his children: "I should like to say a few words to my children. I have two children, one is an army pilot, the other a Young Pioneer. Whatever my sentence may be, I consider it just... Together with the people, follow where Stalin leads." This was a reference to the promise that Stalin made about his sons. On 24th August, 1936, Vasily Ulrikh entered the courtroom and began reading the long and dull summation leading up to the verdict. Ulrikh announced that all sixteen defendants were sentenced to death by shooting. Edward P. Gazur has pointed out: "Those in attendance fully expected the customary addendum which was used in political trials that stipulated that the sentence was commuted by reason of a defendant's contribution to the Revolution. These words never came, and it was apparent that the death sentence was final when Ulrikh placed the summation on his desk and left the court-room." The following day Soviet newspapers carried the announcement that all sixteen defendants had been put to death. This included the NKVD agents who had provided false confessions. Joseph Stalin could not afford for any witnesses to the conspiracy to remain alive. 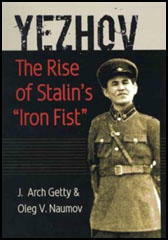 Edvard Radzinsky, the author of Stalin (1996), has pointed out that Stalin did not even keep his promise to Kamenev's sons and later both men were shot. Joseph Stalin became angry with Genrikh Yagoda when he failed to obtain enough evidence to convict Nickolai Bukharin. In September, 1936, Yezhov replaced Yagoda as head of the People's Commissariat for Internal Affairs (NKVD). Yezhov quickly arranged the arrest of all the leading political figures in the Soviet Union who were critical of Stalin. Nadezhda Khazina and her husband, Osip Mandelstam, met him after his appointment: "In the period of the Yezhov terror - the mass arrests came in waves of varying intensity - there must sometimes have been no more room in the jails, and to those of us still free it looked as though the highest wave had passed and the terror was abating... We first met Yezhov in the 1930s when Mandelstam and I were staying in a Government villa in Sukhumi. It is hard to credit that we sat at the same table, eating, drinking and exchanging small talk with this man who was to be one of the great killers of our time, and who totally exposed - not in theory but in practice - all the assumptions on which our humanism rested.... Yezhov was a modest and rather agreeable person. He was not yet used to being driven about in an automobile and did not therefore regard it as an exclusive privilege to which no ordinary mortal could lay claim. We sometimes asked him to get him to get a lift into town, and he never refused." Boris Nicolaevsky was one of Stalin's opponents who managed to escape from the Soviet Union. In 1936 he recalled: "In the whole of my long life, I have never met a more repellent personality than Yezhov's. When I look at him I am reminded irresistibly of the wicked urchins of the courts in Rasterayeva Street, whose favorite occupation was to tie a piece of paper dipped in kerosene to a cat's tail, set fire to it, and then watch with delight how the terrified animal would tear down the street, trying desperately but in vain to escape the approaching flames. I do not doubt that in his childhood Yezhov amused himself in just such a manner and that he is now continuing to do so in different forms." According to Edvard Radzinsky, the author of Stalin (1996): "Yezhov was typical of those who rose from nowhere to high positions in this period: semiliterate, obedient, and hardworking. His dubious past made him particularly eager to shine. Most important of all - he had made his career after the overthrow of the October leaders. Yagoda now served Stalin, but until recently had been the servant of the Party. Yezhov had served no-one but Stalin. He was the man to implement the second half of Stalin's scheme. For him there were no taboos. At the height of the Terror Yezhov would be portrayed on thousands of posters as a giant in whose hands enemies of the people writhed and breathed their last... Yezhov was merely a pseudonym for Stalin himself, a pathetic puppet, there simply to carry out orders. All the thinking was done, all the decisions were made, by the Boss himself." Within the administration of the ADT, a clandestine unit called the Mobile Groups had been created to deal with the ever increasing problem of possible NKVD defectors, as officers serving abroad were beginning to see that the arrest of people like Yagoda, their former chief, would mean that they might be next in line. By the summer of 1937, an alarming number of intelligence agents serving abroad were summoned back to the Soviet Union. Most of those, including Theodore Mally, were executed. Ignaz Reiss was an NKVD agent serving in Belgium when he was summoned back to the Soviet Union. Reiss had the advantage of having his wife and daughter with him when he decided to defect to France. In July 1937 he sent a letter to the Soviet Embassy in Paris explaining his decision to break with the Soviet Union because he no longer supported the views of Stalin's counter-revolution and wanted to return to the freedom and teachings of Lenin. Orlov learnt of this letter from a close contact in France. By the beginning of 1938, most of the intelligence officers serving abroad had been targeted for elimination had already returned to Moscow. Joseph Stalin now decided to remove another witness to his crimes, Abram Slutsky. On 17th February 1938, Slutsky was summoned to the office of Mikhail Frinovsky, one of those who worked closely with Nikolai Yezhov, the head of ADT. According to Mikhail Shpiegelglass he was called to Frinovsky's office and found him dead from a heart attack. Simon Sebag Montefiore, the author of Stalin: The Count of the Red Tsar (2004): "Yezhov was called upon to kill his own NKVD appointees whom he had protected. In early 1938, Stalin and Yezhov decided to liquidate the veteran Chekist, Abram Slutsky, but since he headed the Foreign Department, they devised a plan so as not to scare their foreign agents. On 17 February, Frinovsky invited Slutsky to his office where another of Yezhov's deputies came up behind him and drew a mask of chloroform over his face. He was then injected with poison and died right there in the office. It was officially announced that he had died of a heart attack." Two months later Slutsky was posthumously stripped of his CPSU membership and declared an enemy of the people. Alexander Orlov was ordered back to the Soviet Union by Joseph Stalin in July 1938. Aware of the Great Purge that was going on and that several of his friends had been executed, Orlov fled to France with his wife and daughter before making his way to the United States. Orlov sent a letter to Nikolai Yezhov, the head of the NKVD, that he would reveal the organizations secrets if any action was taken against him or his family. Under Yezhov, the Great Purge increased in intensity. In 1937 Yezhov arranged the arrest of Genrikh Yagoda, the former head of the NKVD. He was charged with Nickolai Bukharin, Alexei Rykov, Nikolai Krestinsky and Christian Rakovsky of being involved with Leon Trotsky in a plot against Joseph Stalin. They were all found guilty and were eventually executed. It is estimated that over the next year it is estimated that 1.3 million were arrested and 681,692 were shot for "crimes against the state". According to the historian, Emil Draitser, "during 1937 and 1938, 681,692 prisoners (353,074 and 328,618, respectively) received death sentences (nearly 1,000 per day)." The NKVD broke prisoners down by intense interrogation. This included the threat to arrest and execute members of the prisoner's family if they did not confess. The interrogation went on for several days and nights and eventually they became so exhausted and disoriented that they signed confessions agreeing that they had been attempting to overthrow the government. In January 1938 Hede Massing and Paul Massing, Soviet spies based in New York City, were interrogated by Mikhail Shpiegelglass and Vassili Zarubin. The Massings were angry about the murder of Ignaz Reiss, the man who had initially recruited them. They demanded to be allowed to return to the United States. However, Shpiegelglass and Zarubin, feared that they were no longer reliable agents and might provide evidence to the FBI on Soviet espionage in America. Shpiegelglass arranged for Hede Massing to meet Yezhov. "The meeting took place in the Sloutski apartment, the same one where I had been at our first party. When we arrived, the important man was not yet there. There was an atmosphere of expectation. There was no vodka, as was usual before meetings. We sat and waited. There was not even flippant conversation. Finally he arrived. He, too, was in uniform. Though he had little glitter, still it was obvious that he was of a higher rank than my two companions. He was a man of about thirty-five, a Georgian, and fairly good looking in a foreign kind of way; to me, from the very first second, he was despicable. He took a seat on the other side of the room from me, crossed his legs, pulled out a heavy gold tabatiere, slowly tapped a cigarette on it - scrutinizing me throughout the process. Then he said in Russian what amounted to, Let her talk." Zarubin told Hede Massing, "Tell your story, and I will interpret." Hede was so angry by Yezhov's attitude that she replied: "There is no story to tell. I'm tired of my story. I understood that I was brought here to ask this gentleman for my exit visa. All I am concerned with at this point is that my husband and I be able to leave for home. I've told my story time and again; I am sure that Mr. X can have access to it. So all I have to say now is - when am I going to leave?" Yezhov laughed out loud. "It infuriated me! I mimicked his laugh and said, 'It is not that funny, is it? I mean what I say!' He got up, said in Russian that the conference was ended, and without a word or a nod toward me, he left." Joseph Stalin told Yezhov that he needed some help in running the NKVD and asked him to choose someone. Yezhov requested Georgy Malenkov but Stalin wanted to keep him in the Central Committee and sent him Lavrenty Beria instead. Simon Sebag Montefiore commented: "Stalin may have wanted a Caucasian, perhaps convinced that the cut-throat traditions of the mountains - blood feuds, vendettas and secret murders - suited the position. Beria was a natural, the only First Secretary who personally tortured his victims. The blackjack - the zhgtrti - and the truncheon - the dubenka - were his favourite toys. He was hated by many of the Old Bolsheviks and family members around the leader. With the whispering, plotting and vengeful Beria at his side, Stalin felt able to destroy his own polluted, intimate world." On 23rd November 1938, Lavrenty Beria replaced Yezhov as head of the People's Commissariat for Internal Affairs (NKVD). Yezhov was arrested on 10th April, 1939. 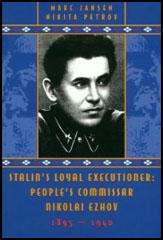 It is claimed by the authors of Stalin's Loyal Executioner (2002) that Yezhov quickly confessed under torture to being an "enemy of the people". This included a confession that he was an homosexual. Nikolai Yezhov was executed on 4th February, 1940. We first met Yezhov in the 1930s when Mandelstam and I were staying in a Government villa in Sukhumi. It is hard to credit that we sat at the same table, eating, drinking and exchanging small talk with this man who was to be one of the great killers of our time, and who totally exposed - not in theory but in practice - all the assumptions on which our "humanism" rested. Yezhov had a limp, and I remember Podvoiski, who liked to lecture people about the qualities of a true Bolshevik, scolding me for my laziness and telling me to follow the example of Yezhov who danced the gopak despite his lame leg. Yezhov was a modest and rather agreeable person. He was not yet used to being driven about in an automobile and did not therefore regard it as an exclusive privilege to which no ordinary mortal could lay claim. We sometimes asked him to get him to get a lift into town, and he never refused. When Yagoda contrived Kirov's death he had not realized that the Leader was thinking on the grand scale. He had envisaged no more than the removal of a single dangerous figure around whom hostile forces were beginning to rally. The Leader had not initiated him into his cosmic plan. As a result, Yagoda hurried to arrest priests, ex-landowners, and so on, intending to lay Kirov's murder at the door of the usual culprits, the class enemy. Even the astute Radek missed the point, and started writing about the hand of the Gestapo killing a loyal Stalinist. The Boss had to point out to Yagoda precisely where the main blow should fall: among the Zinovievites. Yagoda was too set in his ways and remained unconvinced. The Boss saw that he would never overcome his pious inhibitions when faced with the Leninist old guard. So he harnessed him to a diminutive fellow with a quiet voice, one Nikolai Yezhov, the chairman of the Party Control Commission. Molotov described Yezhov as "Bolshevik from before the Revolution, worker by origin, never in any of the oppositions, Central Committee Secretary for some years, good reputation." "Yezhov, Nikolai Ivanovich. Bom May 1, 1895. Resident in Moscow, Kremlin. Social origin - worker. Education - incomplete primary.... In 1919 tried by military tribunal and sentenced to imprisonment for one year." The Boss had first seen Yezhov during his excursion to Siberia to speed up grain deliveries and had subsequently introduced him into the apparatus of the Central Committee. By the beginning of the thirties Yezhov was already head of its Cadres Department. At the Seventeenth Congress he was elected to the Central Committee and to the vice-chairmanship of the Central Control Commission. In 1935 he became chairman of that body, and a secretary of the Central Committee. Yezhov was typical of those who rose from nowhere to high positions in this period: semiliterate, obedient, and hardworking. His dubious past made him particularly eager to shine. Most important of all - he had made his career after the overthrow of the October leaders. Yagoda now served Stalin, but until recently had been the servant of the Party. Yezhov had served no-one but Stalin. He was the man to implement the second half of Stalin's scheme. For him there were no taboos. At the height of the Terror Yezhov would be portrayed on thousands of posters as a giant in whose hands enemies of the people writhed and breathed their last. In the Central Asian republics, poets regularly described him as the batyr (epic hero). The epic hero was in reality a tiny man, almost a dwarf, with a feeble voice. Like Zhdanov, Malenkov, and others whom the Boss would from now on co-opt to the highest offices, Yezhov was merely a pseudonym for Stalin himself, a pathetic puppet, there simply to carry out orders. All the thinking was done, all the decisions were made, by the Boss himself. While Yezhov familiarized himself with the way things were going, kept an eye on Yagoda, and gave him a prod when necessary, the Boss was drumming the plot of his thriller into the heads of his closest associates. And that is why afterward Bukharin said, "Two days after the murder Stalin sent for me and announced that the assassin, Nikolaev, was a Zinovievite." Yezhov, the new Chairman of the KGB, was known to Orlov mainly by reputation, although they had met several times at various social events with mutual friends. Their relationship was superficial at best, yet Orlov had a definite disliking for the man, feeling that he displayed attitudes of petty jealousy and resentment towards his peers for the obvious reason that he was not intelligent and was conscious of this deficiency. Furthermore, his way of dealing with others displayed a vindictive characteristic that Orlov could not tolerate. Yezhov's rise in the Party apparatus was due solely to his ability to ingratiate himself into Stalin's confidence rather than to the merits of his abilities. For a time he had been the Chief of the Personnel Department of the Central Committee of the Communist Party and, prior to his appointment to the KGB, had been appointed by Stalin to the post of Chairman of the Control Committee of the Communist Party, an all-powerful position that would well serve Stalin's stewardship. It would not be long before it was known that Yezhov was the person responsible for compiling Stalin's list of those marked for elimination under the purges. Suddenly, those who had scorned Yezhov and openly referred to him as "The Dwarf", and looked upon him as Stalin's lackey, now spoke of him in terms of reverence and were careful not to provoke him in any manner. Even those in the highest echelons of the Politburo were aware that their lives depended on the whims of the very same man they had once overlooked. At the height of the purges it became evident that not even the most loyal and trusted colleagues of Stalin were exempt from "Yezhov's List".